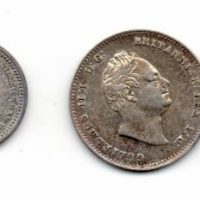 1836 Maundy set, William IV 4d, 3d, 2d and 1d, virtually uncirculated, rare. 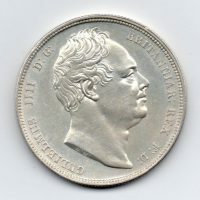 1834 Half Crown, William IV bare head, ww in script, S.3834, virtually uncirculated, bright appearance. 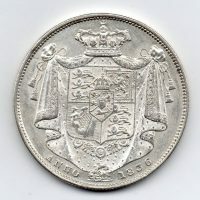 1836 Half Crown, William IV bare head, reverse, shield on mantle, S.3834, virtually uncirculated.